Mobile is the way. A complete digitization of your tools, platforms, and processes is absolutely necessary. Worldwide mobile internet usage surpassed desktop browsing activity for the first time in 2016, and that trend has continued since. But the trappings of that, the tendrils if you will, were in place many years prior. For a long time now, customers have been focused on new, more engaging and personalized experiences. Thanks to mobile devices, they can visit an app or web portal at any moment, when they’re ready, at the moment they decide to. This shifts the power back into the hands of the user. They control when they interact with your promotions and content, how much of it they view, and more importantly, how these factors influence their future decisions. Today, the average digital consumer owns a total of 3.2 connected devices per household. That number is sure to increase in the coming years thanks to smart-home technology, wearables, IoT, internet-ready tech, and more. As a result, we’ve seen a massive decline of legacy systems and platforms. Mobile and BYOD environments, for example, have largely replaced company-issued computer and notebook deployments. Cloud computing and machine learning have replaced modern analytics. Even the networks themselves, such as corporate intranets, have seen significant changes. Networks today are more about providing access to various systems and communications, most external, rather than an internal network chain. Which brings us to the main point, we’re currently witnessing the slow decline of PC intranets, which will give rise to the rapid growth and adoption of mobile communities. To understand why this shift is happening and what it means, we have to reflect on some of the affected legacy systems. In short, corporate intranets or internal networks have many failings and fewer successes. We’ve learned over time, mostly by using and relying on them, that they are often poorly built, mismanaged, and sluggish. More importantly, they are just not conducive or convenient to the modern mobile worker, one who is prepared to dive in from anywhere, anytime. Looking back, these network types have been outdated for some time. Three years was really the breaking point, but even beyond that is when they truly started to decline. This was fueled primarily by a remarkable change in the way we work, the way we communicate, and the way we interact with the world around us. Naturally, using legacy technology - originally designed for another era of business - is no longer acceptable. 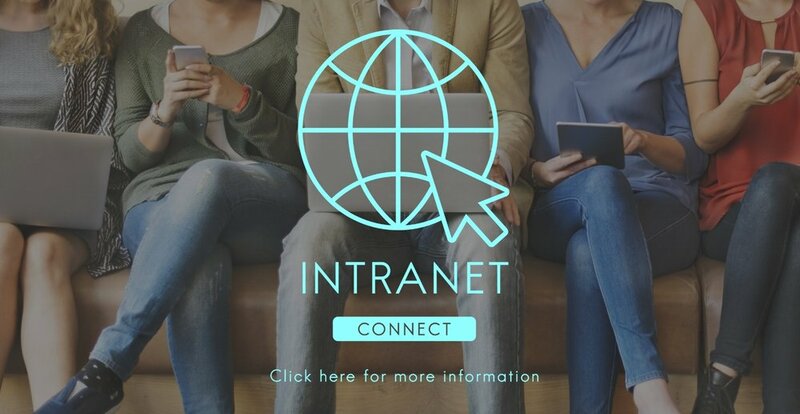 That’s not to say the purpose or value of an “intranet” is null and void. As a whole, it’s still an incredibly viable technology for day to day business, but it definitely needs to be restructured; it needs to evolve for the modern mobile generation. 1. Acting as a central hub of communications, flowing out to many appendages of the business. All tracked, monitored, and measured. 2. Providing access to important documents and files for various groups. This should be spread across marketing, sales, customer service, and many other departments. 3. Fostering contextual conversations and group forums or discussions, building a central, collaborative community. 4. Issuing real-time updates and notifications for events and activities on the network. 5. Creating fun, and more interactive social elements, that improve and retool processes. This usually includes social and news feeds, user interactions, gamification, challenges, puzzles, and more. The simple answer as to why legacy systems - like traditional corporate intranets - don’t work is because we don’t live or operate in the same world any longer. Mobile communities are the present, and they are certainly the future; intranets are part of the past. This is because the modern worker is digitally enabled, because of these wonderful little devices we carry around in our pocket, bags, purses (or wrists). The modern smartphone of today is stronger than a computer released less than a decade ago. And to think that we all - especially the modern workforce - can tap into anytime, anywhere access is really something. Mobile-first initiatives then become the core focus of today’s digitization strategies. Not only do employees and team members need on-the-go access to networks and systems, so do the customers and clientele you serve. Building a central hub like traditional corporate intranets is a start, but it also needs to be adapted, with sweeping improvements, to catch up to modern usage scenarios. For now, digitally enabled mobile communities seem to be the present, future, and everything in-between.